Our little dude on the Autism Spectrum is 5 1/2 years old. He loves to build things and explore to figure out how things work. While taking TouchPoint’s ADAPT program back in December, they had a circuit board set there but he didn’t have much time to check it out and really didn’t show much interest in it. 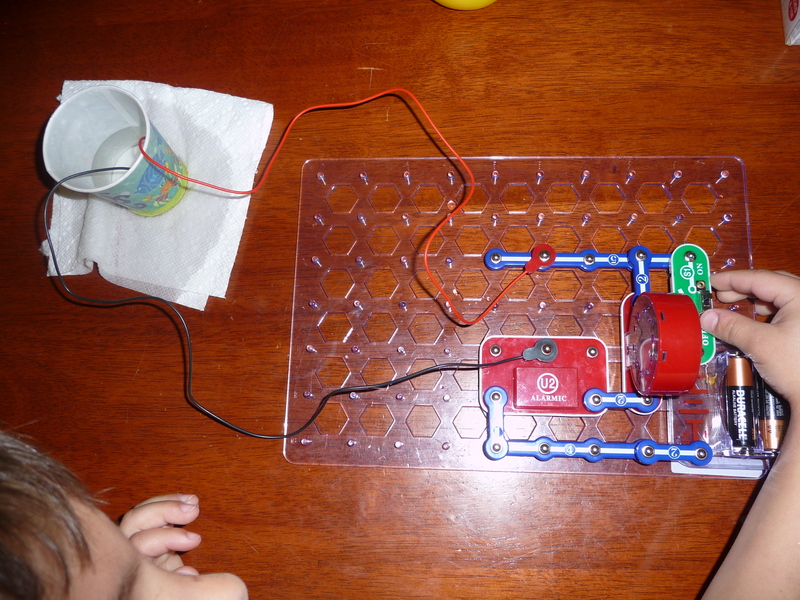 But I had a hunch…so for Easter we got him the Snap Circuits Jr. The box says “ages 8 – 108” so we were figuring he would grow into it and with the set touting “Build over 100 exciting projects!” this would keep him busy for some time. This go around, Henry was interested in the set right away and he has been putting together some of the easier patterns by himself and with help he can put together a few of the more difficult ones. 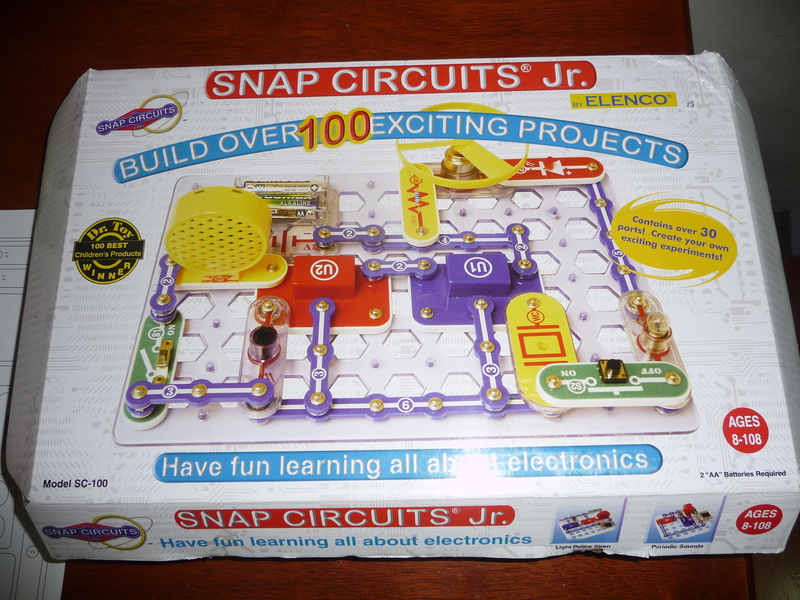 I’m fairly certain that it won’t be long before we’ll have to purchase the Snap Circuits Extreme with over 750 projects and includes CI-73 Computer Interface. He’s already begging for the Snap Rover kit that let’s you build a remote control module. I am not sure whether I should be excited by his interest or wary of it. I am certainly not going to let him see Elenco Electronics’ website! 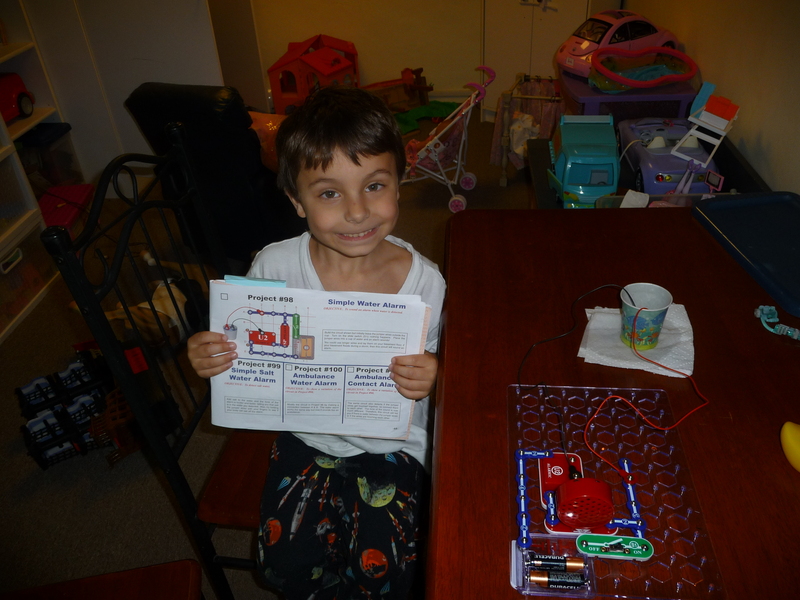 Future engineer/mad scientist….goofy (maniacal) smile and all!